USS Hodges (DE-231) is seen from the starboard at Boston on September 27, 1944. 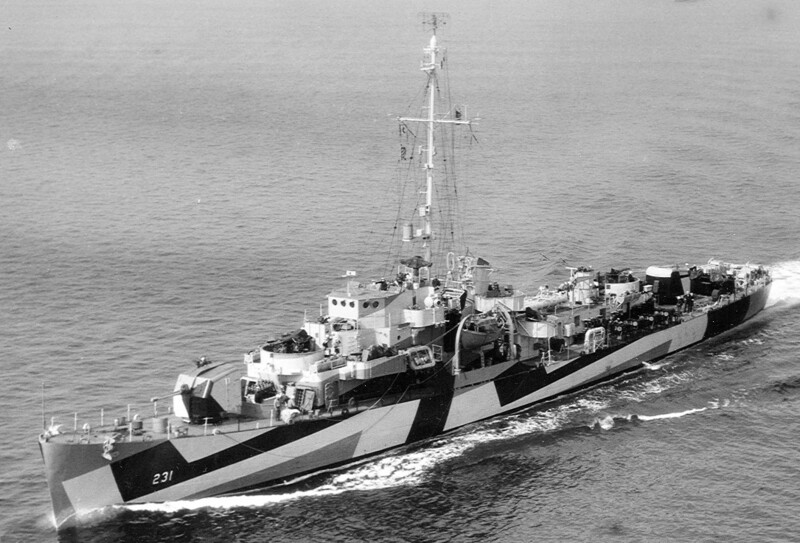 Hodges is wearing a reversed application of camouflage 32/3D with the port side pattern painted on the starboard. Photo source: NARA BS 131474. 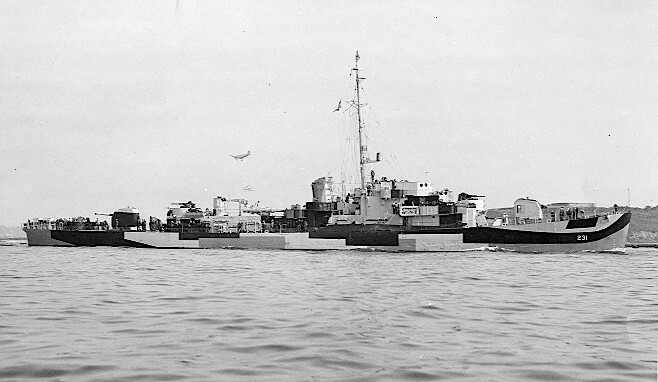 Hodges in another photo from the port side at Boston on September 27, 1944. Photo source: NARA BS 131476 . 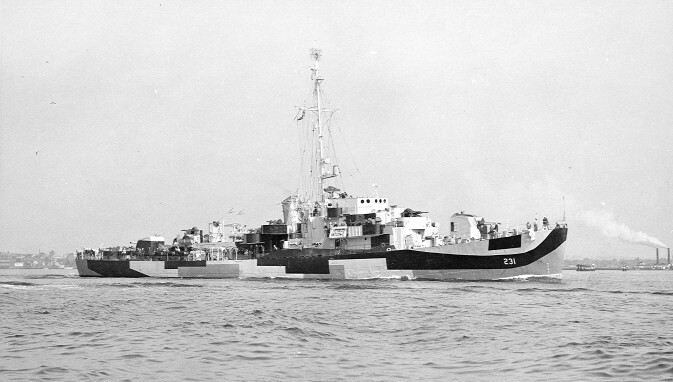 Hodges is now seen from air off the port bow on September 27, 1944, heading south through the Cape Cod Canal wearing 32/3D reversed. 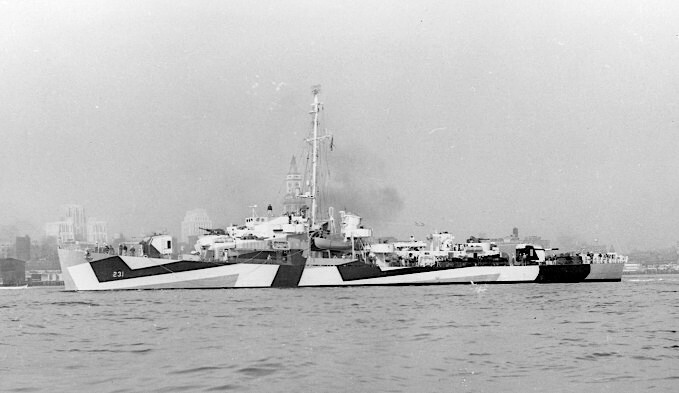 Hodges is seen from the starboard bow on September 27, 1944, at Boston wearing 32/3D reversed. Notice the SU radar on the mast just above the bridge. Photo source: NARA BS 131475. Hodges is seen again from air in this last photo on September 27, 1944, in the Cape Cod Canal. This series of aerial photos was taken by an aircraft from squadron ZP-11. 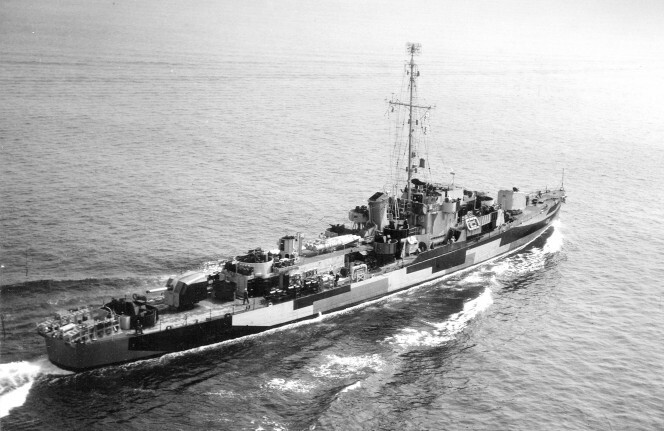 Hodges sailed from New York on October 14, 1944, for the Pacific.